Your day-by-day itinerary now includes Amsterdam Canal Cruises as well as Cromhouthuis. 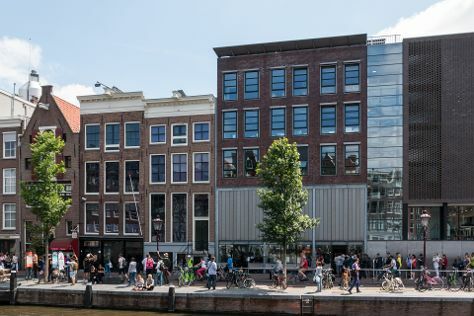 Visit Anne Frank House and Begijnhof for their historical value. You'll explore and learn at Rijksmuseum and Zaanse Schans. When in Amsterdam, make a side trip to see UNESCO World Heritage Kinderdijk in Kinderdijk, approximately 1h 20 min away. It doesn't end there: explore the world behind art at Van Gogh Museum. To find photos, other places to visit, ratings, and tourist information, you can read our Amsterdam online trip itinerary planner . If you are flying in from Australia, the closest major airports are Amsterdam Airport Schiphol, Eindhoven Airport and Eelde Airport. Expect a daytime high around 22°C in September, and nighttime lows around 13°C. You will leave for home on the 29th (Sun).